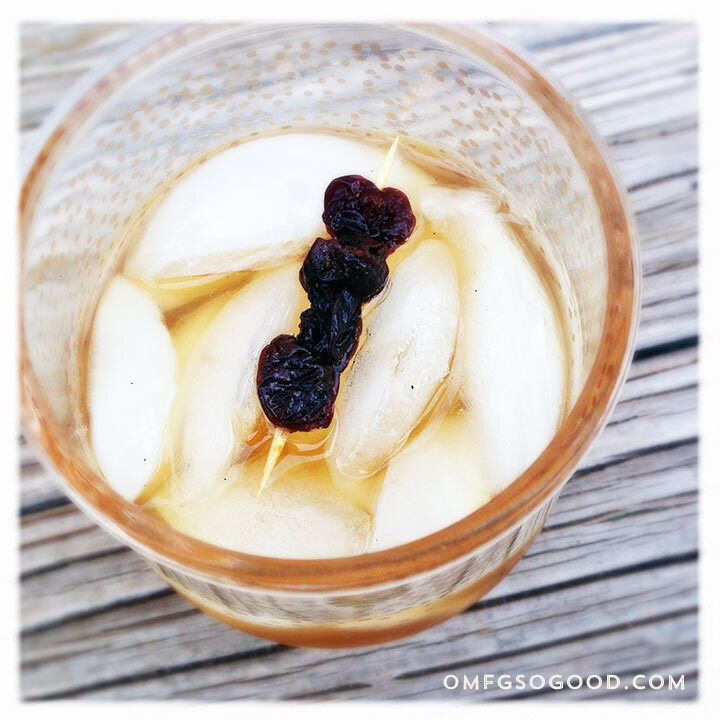 vanilla pear manhattans with dried tart cherries | omfg. so good. I grew up in a scotch, bourbon and whiskey appreciating family. As a wee lass, I remember my Grandpa drinking scotch on the rocks and absolutely loving the scent. It quickly became one of my favorite smells. Such a warm, comforting aroma. I also remember the double wall insulated tumblers with the floating nautical themed patches he drank from, and sort of wish I had them in my cupboard. I’d drink scotch rocks out of those badboys like a champ. Hell, I might even don a Captain’s hat to really drive the memory home. It’s really no surprise that bourbon has become my comfort drink of choice over the years. Just like the smell of Gramp’s scotch, the taste of a good manhattan is comforting to me. A fine evening at home involves sitting on the couch in my cozy socks, listening to a little vinyl Charles Bradley, perfectly blended rocks cocktail in hand. Yup, I like to think he’d approve. I came up with this particular recipe to use up a few ‘teensy bit soft’ pears that were staring at me from the counter. I’d had enough of their stink-eye so I tossed them in a pot with a bit of honey and a vanilla bean, then turned those suckahs into an extremely delicious simple syrup. Combine that flavor with the warmth of Maker’s Mark or Buffalo Trace, then top it off with a skewer of dried tart cherries, and you’ve got yourself a sweet little winter weather companion. To make the manhattan, fill a rocks glass 2/3 full with ice cubes. Add the bourbon and simple syrup then gently stir to mix and top with a toothpick skewer of dried tart cherries. 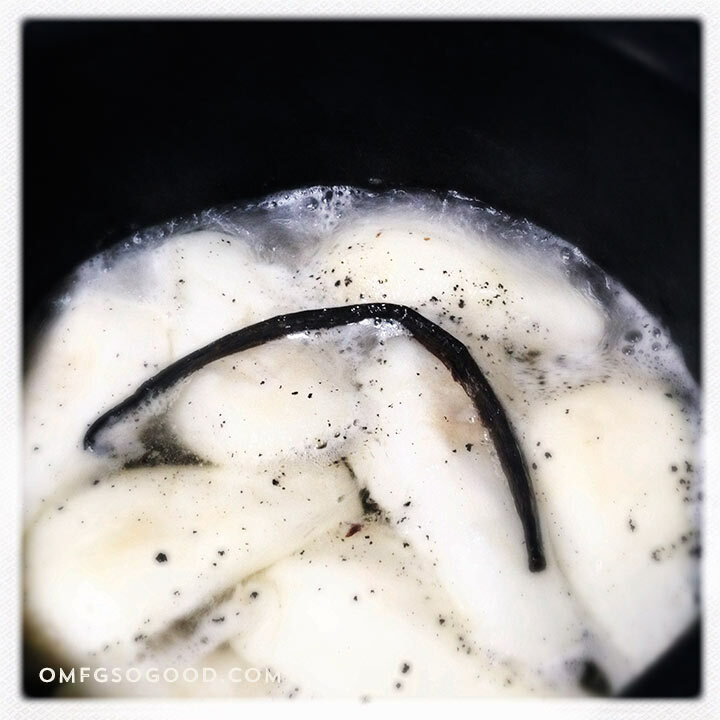 Aren’t the little vanilla bean flecks so stinkin’ pretty? Okay, I might need to make one of these right now. I do believe I see a few clouds rolling on in. Time to bust out the socks and dust off ol’ Charles Bradley.